The world is worried about China's economy. 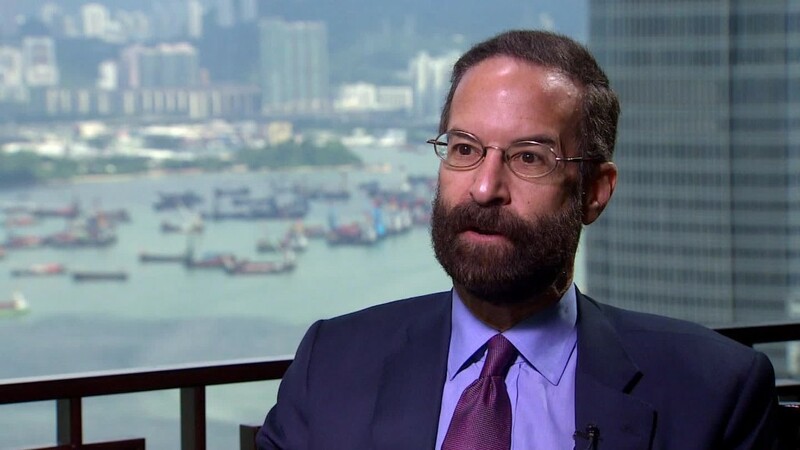 Mark Schwartz, Goldman Sachs' man in Beijing, not so much. Yes, China's stock market has tumbled 40% since June. And yes, the country has hit a rough patch. "A few things have gone wrong this summer," said Schwartz. But he also thinks the doomsday scenarios are way off the mark. "I think the market reaction globally is overdone," said Schwartz, who is chairman of Goldman Sachs in Asia-Pacific. "I think China is going through a very normal transition, from a state-controlled, state-dominated system, to a more market-oriented system." That's happening now. Beijing's growth target for the year is 7% -- a goal it said it met in the first six months. Seven percent is a far cry from the heady days when China's economy was expanding by 10% a year on a regular basis. But it's still strong enough to create new jobs to keep employment steady. Schwartz told CNN the world must be patient. He expects it will take at least a decade, and maybe as many as 20 years, for Beijing to complete the reforms. "I think China is committed to reform as long as growth doesn't fall below 5% or 6%, and I think China is committed to reform as long as it can continue to create employment for 8 million to 12 million new entrants into the labor market each year," he said. The People's Bank of China has already cut interest rates, and lowered the amount of cash banks are required to keep on hand, in a bid to support growth. The central bank has also allowed the biggest devaluation of the yuan in decades, which should provide a boost to exporters. Beijing has the ability to roll out even more stimulus, if required. "I believe China has got plenty of financial firepower, plenty of financial flexibility and plenty of policy levers that it can pull," Schwartz said. "I still believe China has lots of options in which to stabilize the economy." Despite weak manufacturing and export data in recent weeks, Schwartz said that Goldman expects China's economy to grow by 6.8% in 2015. "I don't think there is a hard landing scenario that is really going to play out," Schwartz said.